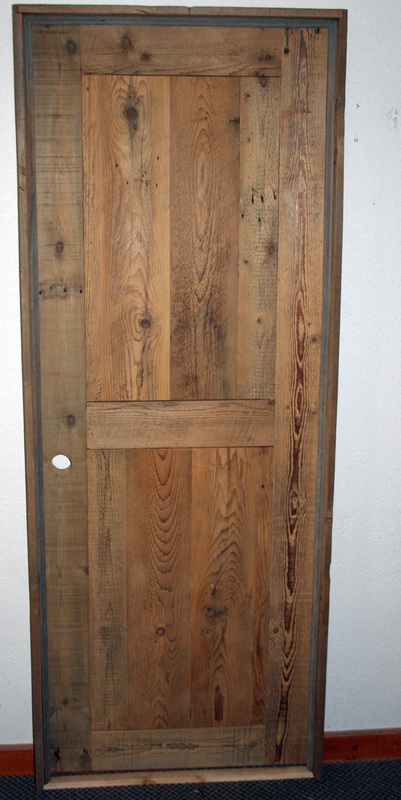 Reclaimed Barn Wood Interior Door made from 100 year old barn boards. The door in this photo is just one example of the type of doors that we can make. This particular barn wood door is unfinished, but we can also put on a clear coat of catalyzed lacquer which would darken the wood, produce a beautlful amber patina and bring out the color and natural characteristics of the wood. Other species of wood doors are available and we can modify the design if you are looking for something a little different.